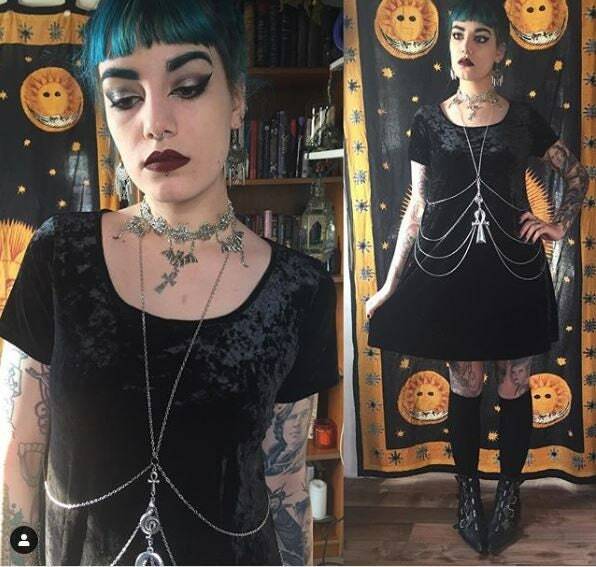 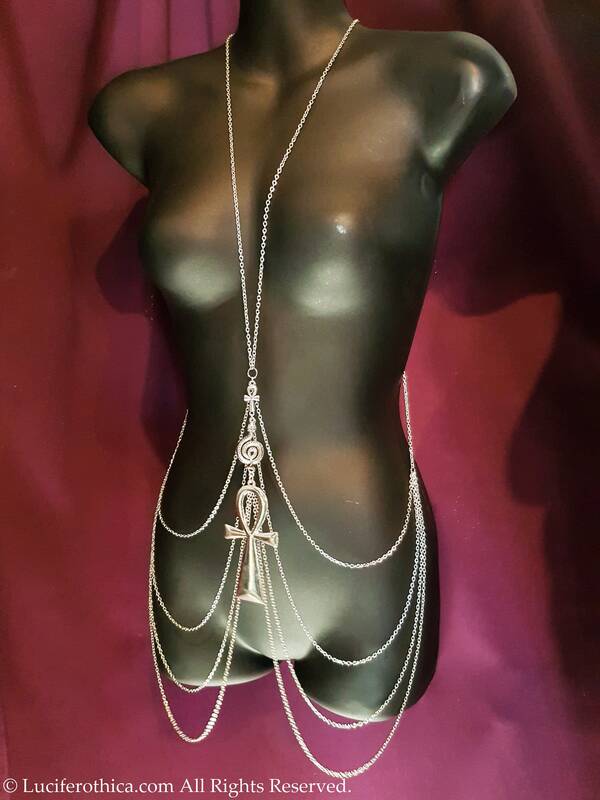 - Closes at the back of the neck with a normal chain. 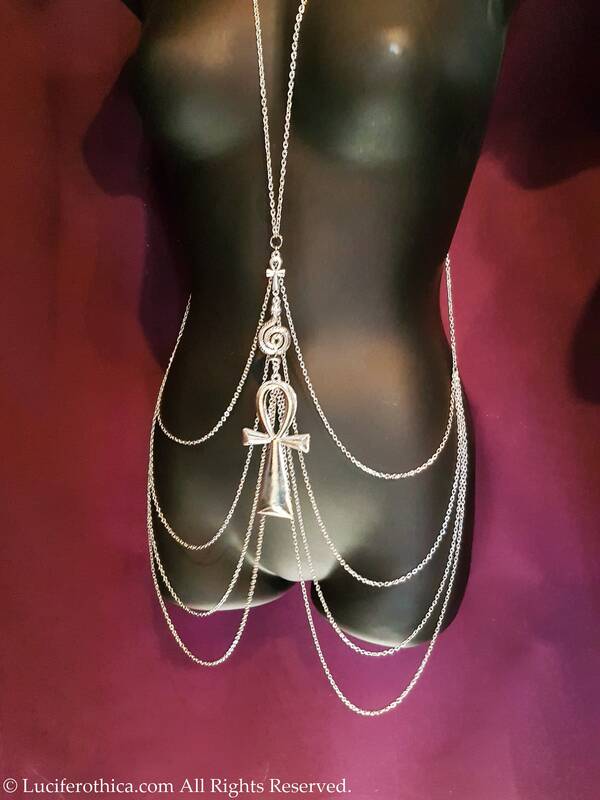 - Silver colour chains, ankhs & serpent. 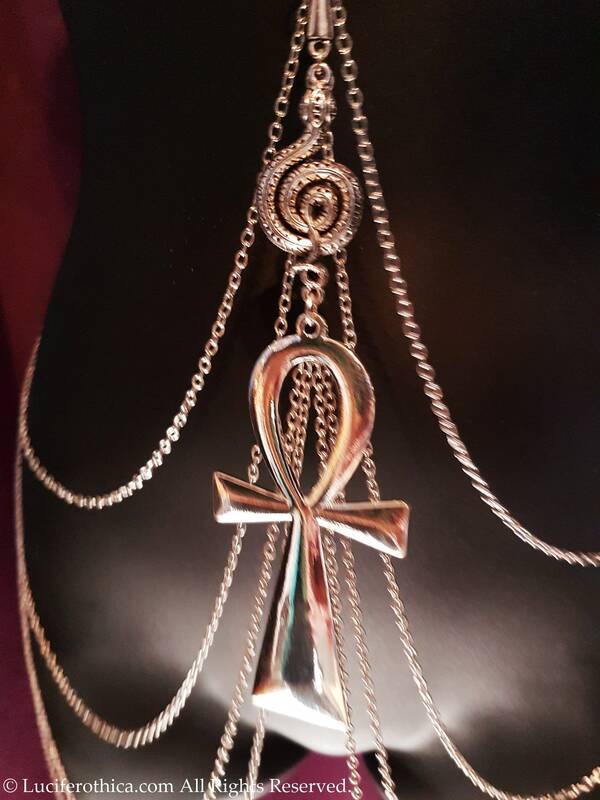 - Big Ankh 10cm as centerpiece.